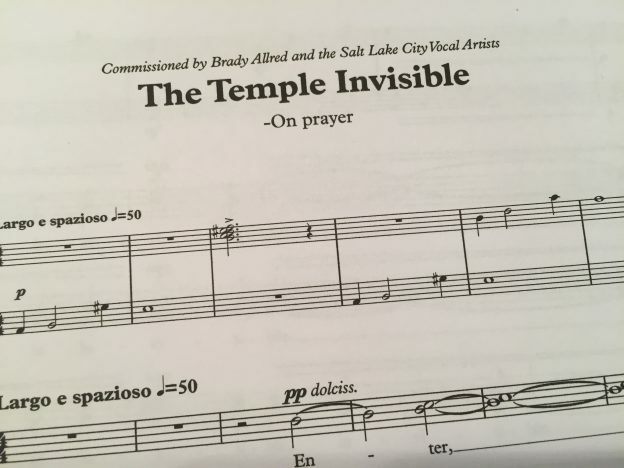 I am very excited about a new commission from Brady Allred and the Salt Lake city Choral artists! The piece is written for choir and singing bowls, percussion and rotating tubes on a text by Kahlil Gibran. The piece is to be premiered this spring. Detta inlägg postades i Okategoriserade den 9 mars, 2017 av Pär Olofsson. Detta inlägg postades i Okategoriserade den 15 april, 2016 av Pär Olofsson. 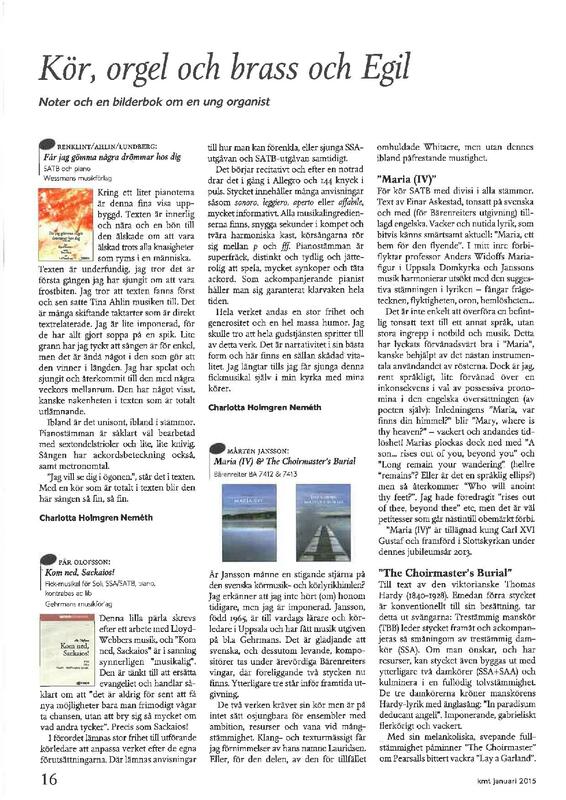 The mini-musical ”Kom ned sackaios” got great reviews in Kyrkomusikernas tidning! Detta inlägg postades i Okategoriserade den 11 maj, 2015 av Pär Olofsson. Excellent Solna Brass with conductor Emil Björklund premiered my piece ”Northern Coast” last sunday. Clips from the first and last movements. Great scenery and slapstick in one piece! Detta inlägg postades i Okategoriserade den 5 maj, 2015 av Pär Olofsson. 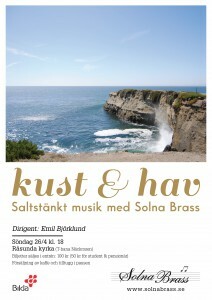 My new piece: ”Northern Coast” will be premiered this sunday by Solna Brass, Swedish Champions. The piece is being rehearsed by the band and conductor Emil Björklund. Detta inlägg postades i Okategoriserade den 19 april, 2015 av Pär Olofsson. Yesterday the mixed choir version of my new piece ”The Secret..” had its first performance, brilliantly executed by Oscars Motettkör. 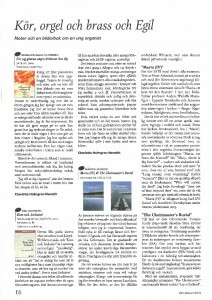 Sheet music available from gehrmans.se. Detta inlägg postades i Okategoriserade den 17 november, 2014 av Pär Olofsson. On november 2nd, my piece ”the Secret…” had its first performance. The piece describes the event of dying not as anguished or sentimental, but as an ecstatic transformation. The first performance was beautifully executed by the amazing young singers of Oscars Ungdomskör. Detta inlägg postades i Okategoriserade den 3 november, 2014 av Pär Olofsson. My new arrangement of ”The sussex mummer´s christmas carol” was recently recommended by the Swedish choral website körliv.se. Detta inlägg postades i Okategoriserade den 9 oktober, 2014 av Pär Olofsson. Need new programming for christmas? This is one of the most beautiful christmas carols I know. A solemn melody conveys a folk-poem that combines the joy of the birth of christ with the stark reality of His death. The song also expresses gratitude for having the privilege of celebrating christmas with a full cupboard, and in the path of Christ. The arrangement utilizes four verses of the text. The first verse is for the soloist alone. The arrangement then gradually builds up to eight part chorus. The arrangement can also be performed with a Female soloist. Detta inlägg postades i Okategoriserade den 19 september, 2014 av Pär Olofsson. Oscars Ungdomskör vann guld med ett av mina stycken vid den internationella körtävlingen för sakral musik i Rom 2012. Stycket har också tagits upp på repertoaren av Li-Ron choir, en ungdomskör från Herzliya, Israel. Detta inlägg postades i Okategoriserade den 25 maj, 2014 av Pär Olofsson.